Dog hasn’t seen the owner for 2 years…. 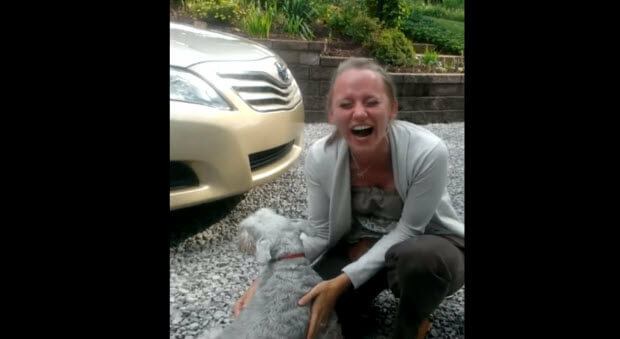 Casey didn’t see her owner Rebecca, for two years…which is a lot more than two in dog years. Casey was making loud noises in disbelief that the owner that disappeared for two years is finally here and can be hugged and kissed. 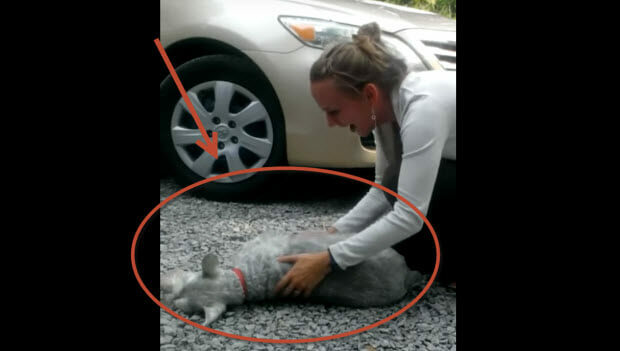 This schnauzer got overwhelmed to the point of losing consciousness. This is unbelievably touching and if you are going to cry don’t be too embarrassed or surprised. I was touched and cried with this cute schnauzer. So if you take a dog away from the owner for too long this could happen! Watch this amazingly funny and touching video! 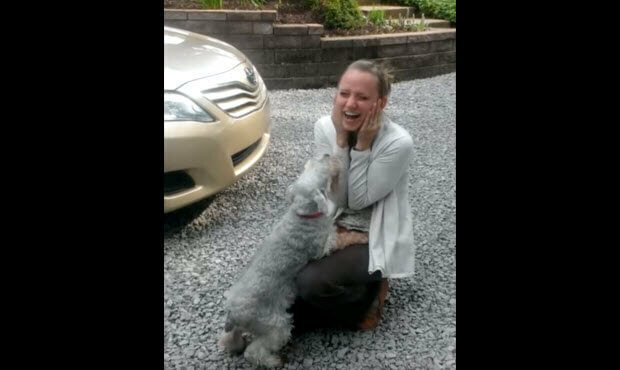 Happy moment of a long-awaited reunion! Casey the Schnauzer got overly excited. The owner who this doggy hasn’t seen for 2 years is trying to protect her ears from his high pitched noises. these little fellas never forget us. They are loyal. Anyone who just tosses one away should be put in jail for a long time.